Before anything else, let’s all agree that having a great pressure canner rocks. When those garden vegetables are producing in high quantity and you can’t consume them all at a fast enough pace, step aside and let your pressure canner help out and save the day. Pressure canners are a must if you’re growing a garden and want to save some of the bounty for later. 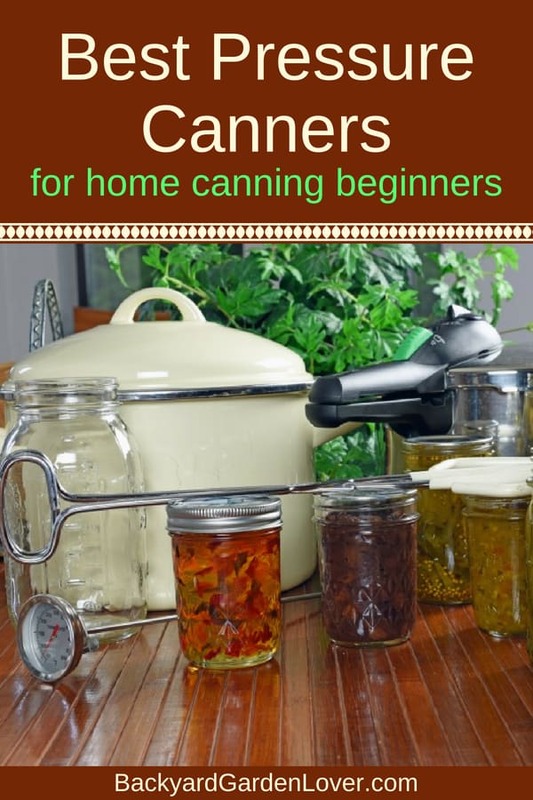 I gathered a list of the best pressure canners for home canning every beginner needs. 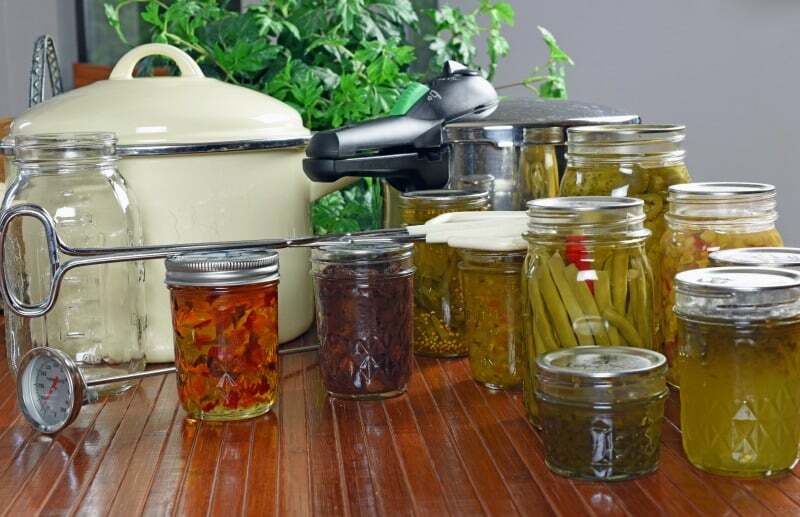 You can use a pressure canner to can tomatoes, green beans, beets, carrots, and many any other veggies and fruits. Buying and owning a pressure canner is the perfect way to not waste ANY of those garden fresh veggies! Plus, you can use it for meats and fruits as well! Why Should You Buy A Pressure Canner? Plain and simple, to help you out! Pressure canning is a great way to preserve food for later months and also use up everything that is growing in your garden. Pressure canning is a simple process once you get used to the appliance. you can do dinners in a jar: how awesome is that? 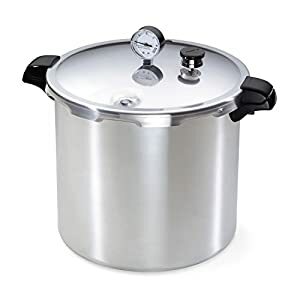 Granite Ware Pressure Canner/Cooker/Steamer, 20-Quart If you’ve been looking for a beginner pressure cooker that can also function in other capacities as well, this is the one for you! Customers can’t stop singing their praises for the durability and variety of uses. Some customers complain about the lack of instructions, but Amazon has a way to ask questions and learn anything from previous customers. 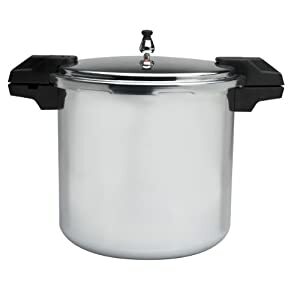 There are already 94 questions and answers about this pressure canner: from “can you use it instead of a canner bath” to “will half gallon jars fit in this pressure canner” and more. See all the questions and answers here. Need to use it to believe it? Don’t delay in ordering yours today! CAREY DPC-9SS Smart Pressure Canner & Cooker The use of the Carey Smart Pressure Canner and Cooker is certain to give you peace of mind when it comes to any and all worries that you may have previously had. Designed with function and ease in mind, you’ll love knowing that you can pressure can or cook with confidence and trust in this appliance. Rave reviews are pouring in for this multi-use appliance and don’t appear to be stopping anytime soon. Customers love the fact that you can use this to can small batch items with ease while also having the option for larger as well. Plus, don’t forget all the many functions that it can help you with in the kitchen! 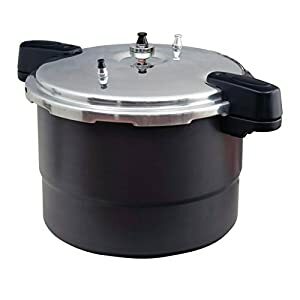 All American 21-1/2-Quart Pressure Cooker Canner Offered in a variety of different sizes, this All American Pressure Cooker Canner may be the answer to your canning prayers. With 5/5 star reviews on Amazon from over 2,800 customers, it’s easy to see that this is a winning choice! Customers love how quickly it works and are saddened by the fact that they waited so long before deciding to purchase. Don’t make the same mistake that they did, and hurry and order now! 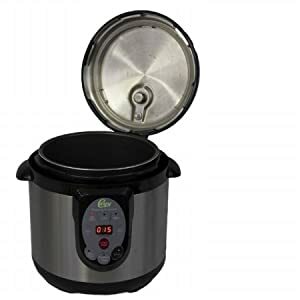 Presto 01781 23-Quart Pressure Canner and Cooker Not only can this Presto Pressure Canner and Cooker pressure cook, but it also can be used as a boiling-water canner as well! Talk about an amazing appliance with a dual purpose and use! If you’ve been searching for a pressure canner that does all the hard work for you, look no further than this beauty. Over 3,000 customer reviews agree that this appliance is a must-have due to the ability to cut canning time in half and the reliability that it provides. 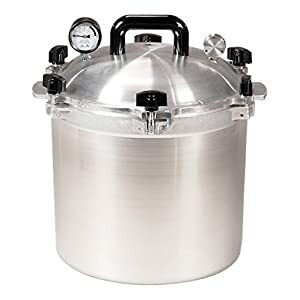 Mirro 92122A Polished Aluminum 5/10/15-PSI Pressure Cooker/Canner Cookware, 22-Quart, Silver This pressure cooker, canner and cookware all-in-one, will get the job done perfectly each and every time. From start to finish, it makes the canning process an absolute breeze. Based on customer feedback, this pressure cooker is made of high quality and gets the job done! Don’t expect a ton of frills with this pressure cooker, but it excels at the basics of pressure cooking and canning! Have you been hesitant about purchasing your first pressure cooker, because you didn’t know if it would work for you?